Vancouver, Canada / TheNewswire / January 15, 2019 - Nexus Gold Corp. ("Nexus" or the "Company") (TSX-V: NXS, OTCQB: NXXGF, FSE: N6E) is pleased to report additional sample results from the recently acquired, 100% -owned, 98-sq km Dakouli 2 Gold Project, located on the Goren Greenstone Belt, central Burkina Faso, West Africa. 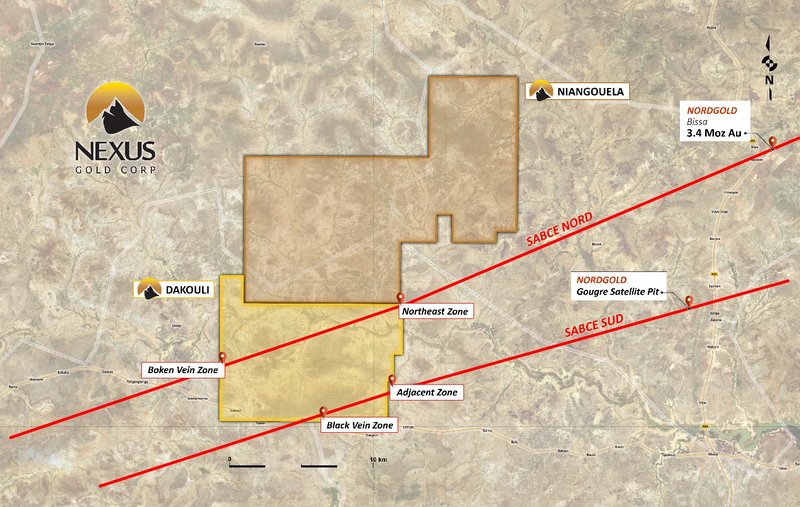 A total of 13 samples were taken in the second round of prospecting on the Dakouli 2 property, with five returning values between 1.74 grams-per-tonne ("g/t") gold ("Au"), and 17.6 g/t Au, and eight returning values from 0.052 to 0.864 g/t Au. Samples were collected from orpaillage dumps and from depths of 15 to 40 meters below surface within active artisanal pits and shafts. "The secondary structure identified in the north east and the Boken Vein showings are revealing just how robust the Sabce fault zone is," said Vice President of Exploration, Warren Robb, P.Geo. 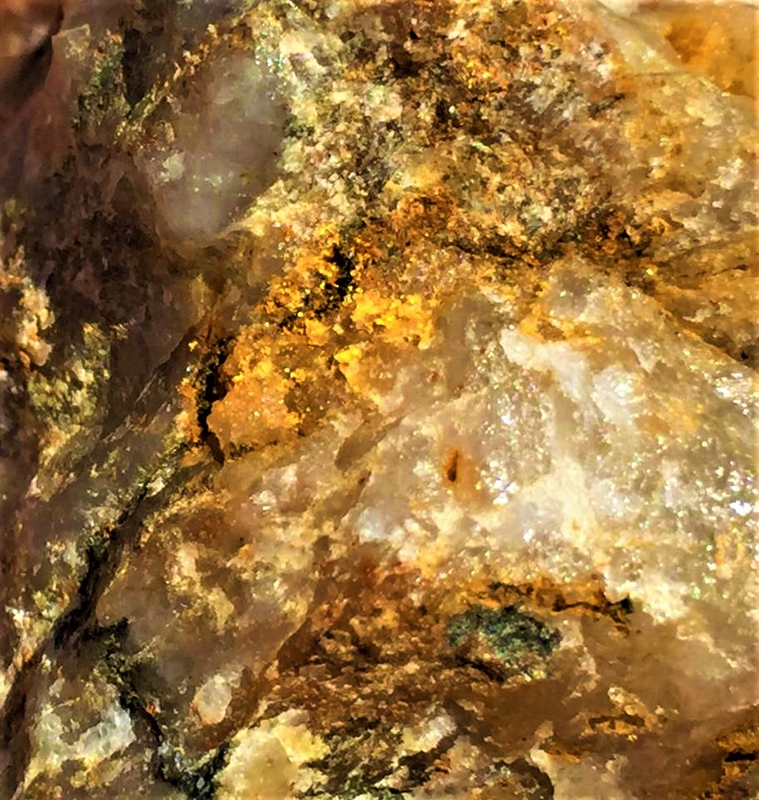 "The amount of coarse visible gold we have seen thus far makes this a very exciting exploration program," continued Mr. Robb. 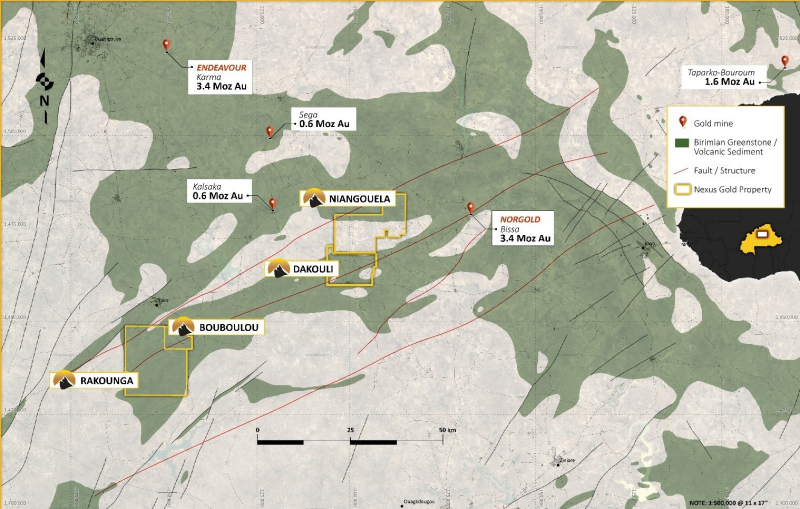 "These are positive early indicators at Dakouli," said Alex Klenman, president & CEO. "We have already confirmed multiple mineralized zones on the property and are currently mapping out these zones to determine their relationship to known structural faults and trends. 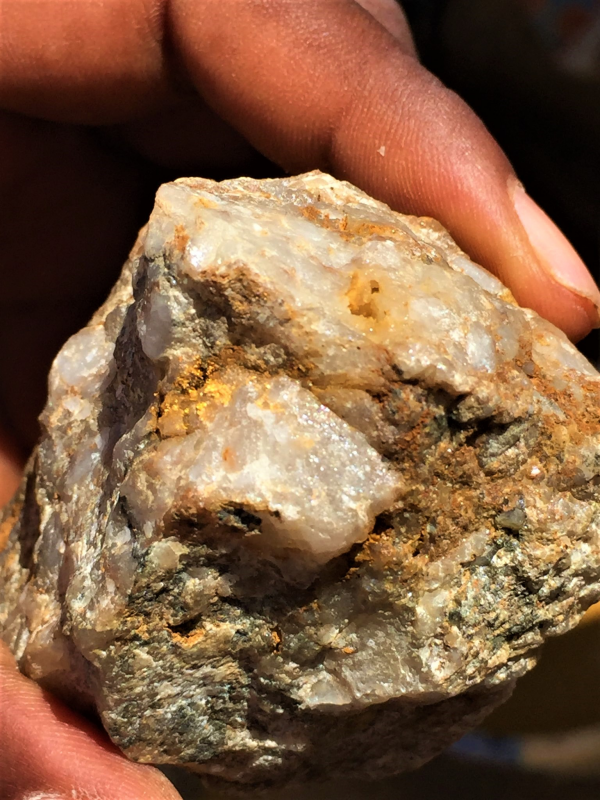 It is a prolific area in terms of gold mineralization and we are encouraged by both the abundance of visible gold at Dakouli and the sample grades so far. We have lots of similar ground to cover, I'm looking forward to a deeper and more extensive exploration program, including a maiden drill program, in the coming months," continued Mr. Klenman.